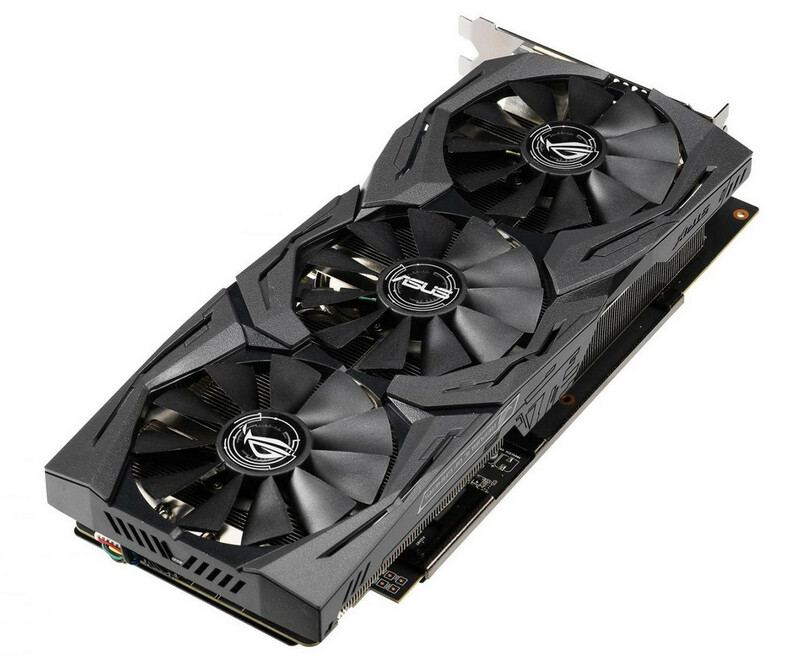 For those waiting to pack their ASUS Themed build with an Strix ROG RX 590, wait no longer as earlier this week Asus has announced their ROG Strix Radeon RX 590, an all-new graphics card powered by AMD’s latest Radeon RX 590 GPU and engineered with the cooling, reliability, performance, and customizable lighting you would expect out of an ROG Product. ASUS touts its superior cooling potential as well as efficient fans that keep noise low and airflow high, up to 105% more static pressure compared to axial designs. 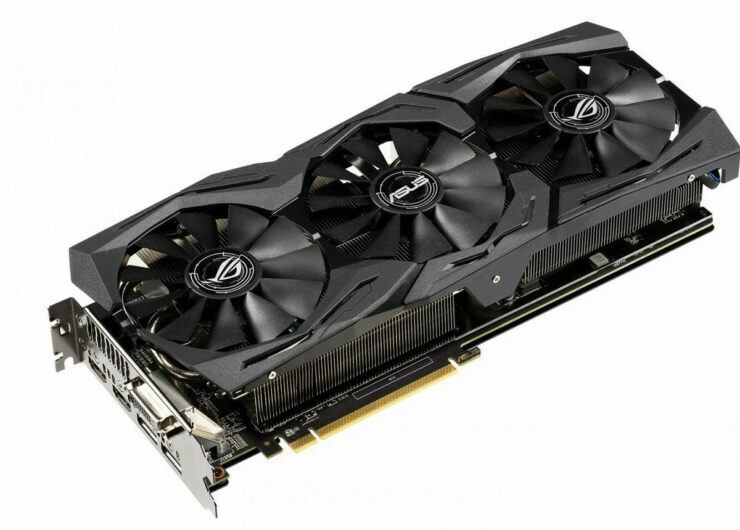 They also note it uses their “MaxContact” technology in which the heat spreaders are precision machined on the surface which they say can make up to twice as much contact with the GPU allowing a more efficient thermal transfer. This could be the difference between a few Celsius here or there. The aforementioned fans also remain silent until the GPU temperature hits above 55 Celcius. The fan internals are also sealed to IP5X standards so that they will keep running, even in dusty environments. Dust-resistant fans aren’t the only technology that makes ROG Strix graphics cards well-known for reliability; Auto-extreme technology is an automated manufacturing process that sets new standards in the industry by allowing all soldering to be completed in a single pass. This reduces thermal strain on components and avoids the use of harsh cleaning chemicals, resulting in less environmental impact, for those consumers worried about how “green” the hardware they use. It also lowers manufacturing power consumption and a more reliable product overall. Finally, it uses a seven-phase voltage regulator with what Asus calls high-end premium chokes and solid polymer capacitors, and high current power stages. All of this should allow high end overclocking and hopefully push past 1600MHz reliably. 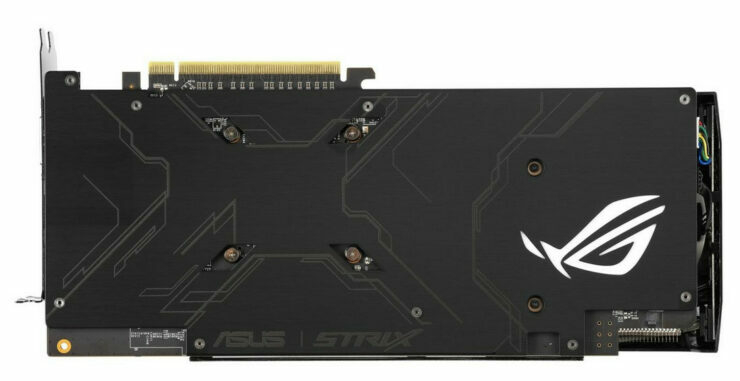 Lastly, the card is equipped with ASUS Aura Sync RGB Lighting on the shroud and backplate. We have spoken at length in the past about how many products easily sync into ASUS’s Aura Sync software and it’s quality. Pricing is expected to be just shy of $300, though ASUS has not given us official word. Also it is likely that this card will include the 3 game bundle AMD is including with all of their 590s that pack Devil May Cry 5, The Division 2 and Resident Evil 2 (The upcoming Remake). This should add a bit to the total value of the card overall. We do expect the release to be imminent and will update the article when further info arises.